NEW SHADE! Now available in Dark Brown. Design a dense lash look with this double-sided, felt-tip liquid eyeliner, enriched with the lash nourishing peptide found in Amplifeye® Advanced Lash & Brow Fortifier. 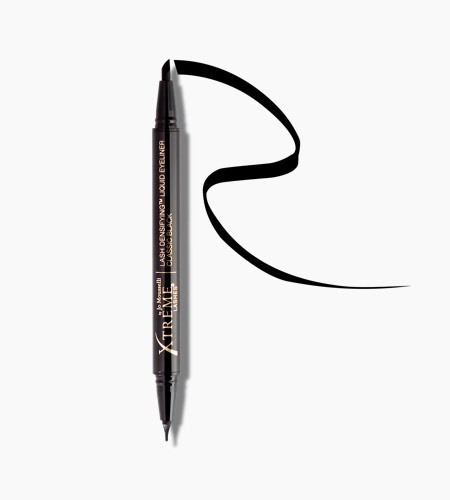 Developed to be compatible with eyelash extensions, this felt-tip liquid eyeliner provides precision, ease and control. This double-sided eyeliner features the easy-to-use Precision Tip for filling in gaps along the lash line for a denser look, and the Style Edge Tip for creating a winged liner with ease for a more dramatic look. 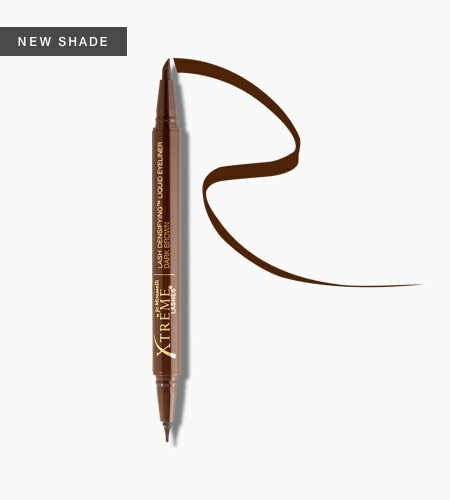 From day to night, this long-lasting eyeliner ignites creativity and inspires confidence. Available in Classic Black and Dark Brown.